Edwin de Graaf , co-founder and Managing Director of Gilde Healthcare, joined Gilde Investment Management in 1997 as an investment manager of Strategic Situations -a fund of funds- where he was responsible for investments in US and EU based private equity and venture capital funds. Prior to Gilde, he was with Coopers & Lybrand (now PwC) in tax consultancy for three years. Edwin led investments in AM-Pharma (sale of minority interest and option agreement with Pfizer), GlycArt (trade sale to Roche), IDEA (product license to Alpharma Pharmaceuticals), Omegatech (trade sale to Martek Biosciences, now DSM), Pieris Pharmaceuticals Inc. (Nasdaq: PIRS), Prosonix (trade sale to Circassia), Sanifit, Santaris Pharma (trade sale to Roche) and uniQure (Nasdaq: QURE) and involved with other Gilde Healthcare investments and divestments including Ascendis Pharma (Nasdaq: ASND), Definiens (trade sale to AZ/MedImmune), Moximed, ProQr (Nasdaq: PRQR), ProFibrix (trade sale to The Medicines Company) and Sapiens (trade sale to Medtronic). He represented Gilde on the boards of Glycart, IDEA, Pieris, Prosonix, Santaris Pharma and uniQure and currently serves on the boards of AM Pharma, Sanifit and Ascendis Pharma. 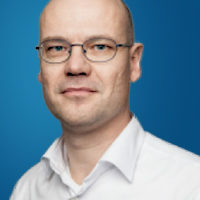 Edwin de Graaf holds a Master in Business and Fiscal Economics from the Erasmus University Rotterdam and is a Dutch national.